Born in rural southern Georgia, Mandy Coulton began her dance career at a mere three years of age, cultivating a passion for jazz and modern dance. Coulton arrived in Los Angeles in 2004 and immediately signed with bloc agency, where she has had the privilege to work with such esteemed choreographers such as Michelle Johnston, Maguerite Derricks, and Michael Rooney. Coulton has appeared in many notable feature films; her favorites being the forthcoming Gangster Squad, as well as Tropic Thunder, Walk Hard: The Dewey Cox Story, and Rush Hour 3. 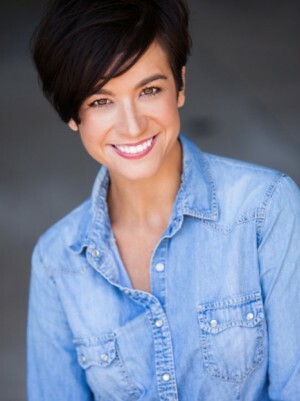 She has performed in numerous national commercials, frequently for Target, in addition to Nissan, Fruit of the Loom, Guitar Hero, and Reebok—-as well as television shows including MAD TV and Joan of Arcadia. Coulton has had extensive experience in the music video industry performing with artists such as My Chemical Romance, Mayday Parade, Sugarland, Jem, Lenny Kravitz, and in Adele’s “Chasing Pavements.” Not only has Coulton had the honor to dance in many mediums such as film, television, and musical theater but also has worked in many national and international print campaigns such as iPod, Marlboro, and K-Swiss. Coulton continues to pursue her love of performing and is continually honored by any invitation to work in the industry.